This week I wrote in "Table for None" that, despite the closure of Bluebird Tavern, the rest of the Bluebird family was doing just fine. Turns out that was an overstatement. 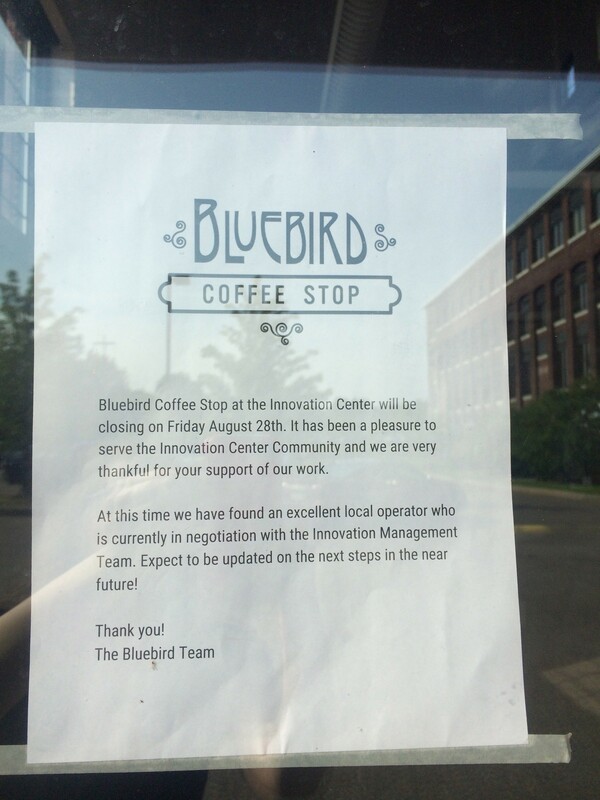 When we spoke to Bluebird PR rep Nicole Ravlin of People Making Good on Thursday, she didn't mention that the Bluebird Coffee Stop at the Innovation Center would serve its final meals the very next day. Here's the sign we found when a reader tipped us off to the closure today. Contacted today, Ravlin said via email that another location of Scout & Co. will soon replace the newly closed Coffee Stop. The third location of the fast-growing coffee and ice cream spot should open later this month, she said.